Promotional cartoons are cartoon images that generate attention for your message or product or event. 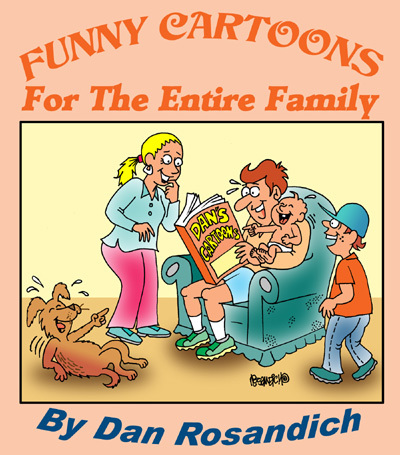 Promotional cartoons will definitely get you the attention needed. I’ve been specializing in promotional cartoon humor and custom cartoon illustrations for as long as I’ve been involved in the cartooning business. 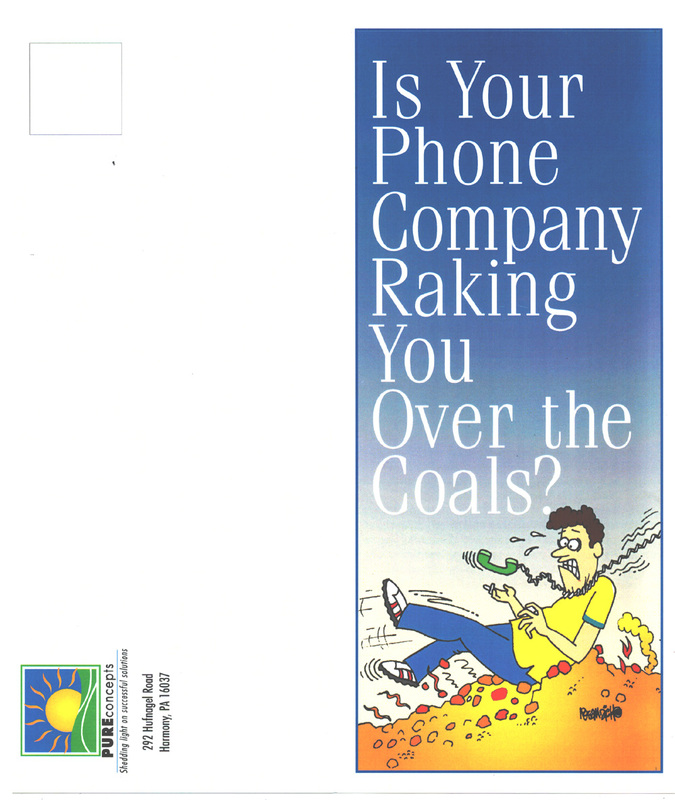 This cartoon panel I’m providing here as part of my cartoon illustration portfolio was used in a direct mail piece. For those of you who used telephones pre 1995 B.C. (before computers), you’ll understand what I am referring to when I talk about “land lines” where the message in this cartoons speaks about expensive phone calling costs and how the customer gets “raked over the coals” and how to eliminate those costs by subscribing to a “VoIP’ service (voice over internet protocol). 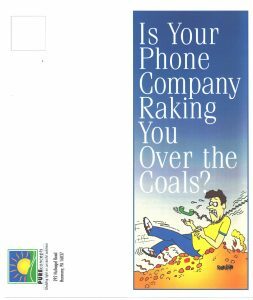 Well, now with the advent of mobile technology and cellular telephones, voip has literally become insignificant but when I see these old illustrations I had done, they bring back good memories and still stand the test of time . There is still enough validity to these cartoon illustrations for being offered up as part of my cartoon portfolio. As you’ll notice, the customer left the other half of this direct mail piece blank, for using the open area in order to apply a pressure sensitive labels onto, including postage. The flyer was printed on glossy card stock in order to hold up through the rigors of cancelling machines and the postal service. It was also sized so it could also be inserted into a number #10 business envelope. When conferring with clients who want to use my cartoons or have me illustrate custom illustrations for their print projects, I try to get a thorough understanding as to how they intend on using the artwork for the intended project so I can create the artwork for that usage. Most postcards are done horizontally, the cartoon presented here was illustrated vertically so it fits the brochure in it’s proper lay-out. Contact me if you have any questions about getting something illustrated based on what you’re considering for a promotional cartoon. I can assist, based on my many years of experience doing these special types of custom cartoons.